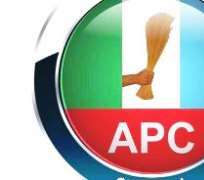 The All Progressives Congress (APC) Presidential Campaign Council in Delta State has expressed sureness that the party would clear all seats in the presidential and state elections. Speaking during a press conference Wednesday at the party’s Secretariat in Asaba, Chief Cairo Ojougboh, who led the presidential Campaign Council, said there was an immediate need to flush out the decadent Peoples Democratic Party (PDP) government in the state. He said: “the visit of President Muhammadu Buhari to Delta State is coming at a time when Deltans are praying for the messiah to rescue its citizens from the clutches of corruption, inefficiency, thievery, violence and unimaginable scale of deceit by a gang of thieves and masquerading politicians”. He disclosed that in the last three years and half of Buhari’s administration, “we have seen the war against corruption as we have never seen before. The international communities and indeed all Nigerians have attested this feat” calling on the president to continue the anti-graft war. While noting that Buhari, has done much in Delta, he said “the rail network in Nigeria will be the best in Africa in the next two years and we must therefore have Mr President continue in office” just as he berated former president Goodluck Jonathan’s six years in office as a waste with nothing to show in the south-south. He said the road to the former president’s home town; Otueke has been constructed by the Buhari administration while the East West road is 40 per cent completed just as other numerous federal governments’ initiatives are ongoing in the state.